Chancellor of the Exchequer Philip Hammond has continued to take steps to fix Britain’s “housing crisis” and in the Autumn Budget 2018 allocated a further £500 million for the Housing Infrastructure Fund which will “unlock 650,000 homes”. The fund now stands at £5.5 billion. It was also revealed that the government has partnered with nine housing associations to deliver 13,000 homes across England. With so much investment going into housing, authorities leading these projects will require effective and reliable purchasing and supply chain solutions. It is important for your organisation to source suppliers and pay for the goods and services you need in the most efficient way possible. Delta is currently working with 42 housing authorities from across the UK, supporting many in the creation of a streamlined procurement process. Metropolitan is just one of many housing organisations that had no visibility or structured mechanism for identifying and engaging with suppliers for their low-value tender processes before they started working with Delta eSourcing. Since implementing our solution, Metropolitan has improved its eProcurement strategy and has set up contract lists by type, such as category/sector or geography, a system which is now shared across the organisation.  To find out more about how Delta eSourcing can support your organisation, speak to one of our procurement experts.